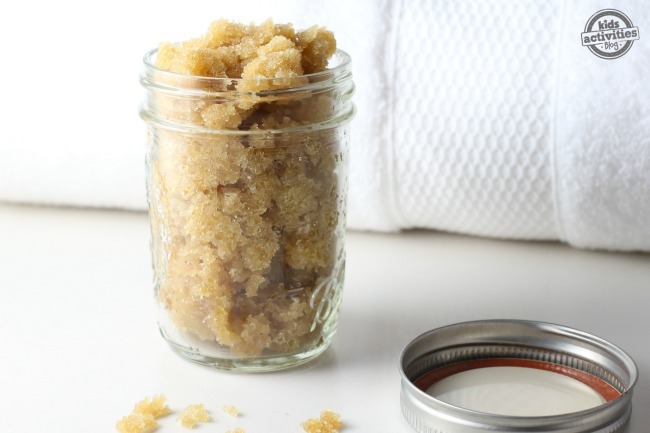 When it comes to relaxation, I love to break out my Homemade Foot Scrub and spoil myself with some pampering. I mean, let’s be honest, it would be better going and having this done at a salon but when you’re home and just need to relax this DIY Beauty product works great! I absolutely love making my own homemade beauty products, there’s just something really fulfilling about it! I make everything from lip gloss to sink cleaner and I can usually make them with a few ingredients from my kitchen! 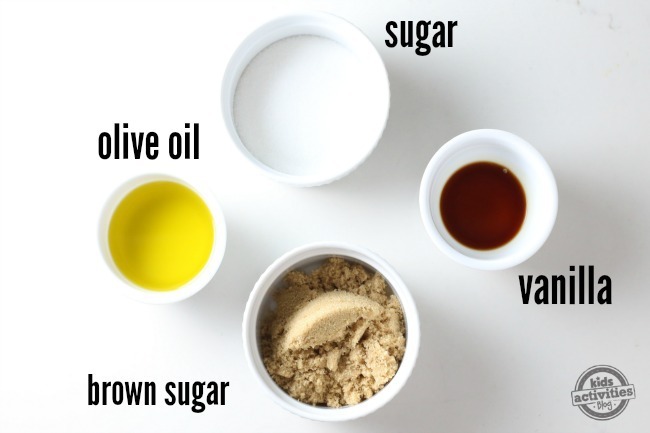 This homemade foot scrub is exactly that way, it’s four ingredients from my kitchen cabinets that everyone probably has on hand! It makes a great little gift too! A fun idea would be to make the foot scrub, lotion and add some nail polish and place it all in a little basket to give on Mother’s Day, a birthday or even at the end of the school year to a teacher! How fun and what a great homemade gift idea! 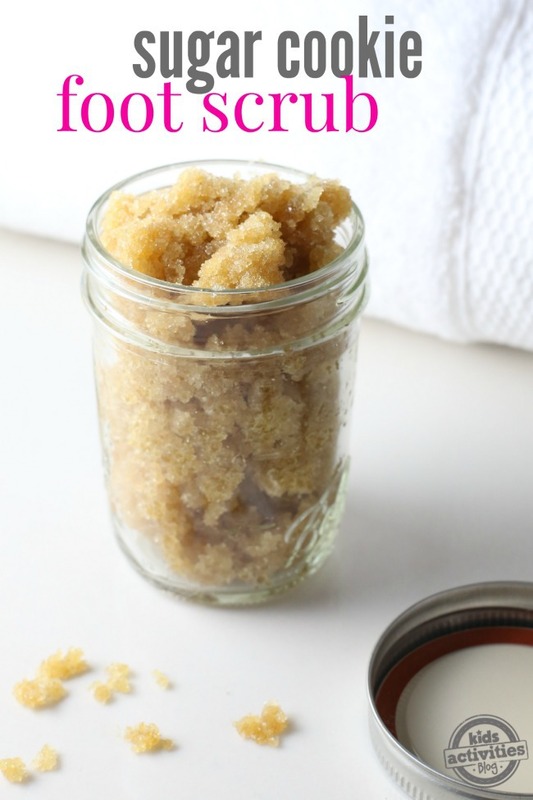 I think this foot scrub looks and smells just like a sugar cookie, there’s nothing more amazing than the aroma of a delicious cookie turned into a beauty product that works amazingly to get the dry skin off your feet and legs. Mix all the ingredients together in a small bowl. Scoop into a mason jar for storage. When you’re ready to use scrub the bottom of clean feet with the Sugar Cookie Foot Scrub, rinse and repeat if desired! I like to keep a jar of this by my bathtub so that I can use it when I have the time to soak and enjoy a long how bath! Do you make your own homemade beauty products? What’s your favorite one to make? I’d love to hear about some new ideas! Would this be good to use as a hand scrub?